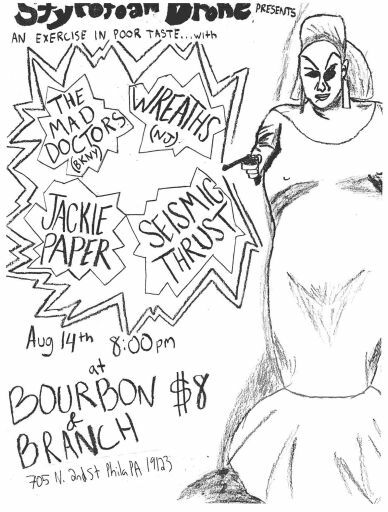 TOMORROW NIGHT, garage-rockin’ Brooklynites THE MAD DOCTORS take over Bourbon & Branch in Philadelphia along with New Jersey psych-outs WREATHS, with support from Philly-based psych crew JACKIE PAPER and psychotic psychedelic-punks SEISMIC THRUST. You can RSVP to this remarkable event via Facebook, beginning at 9pm tomorrow night for just $8. Do it now! 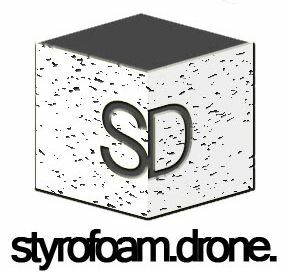 Posted on August 13, 2014 August 13, 2014 by styrofoamdronePosted in Other, ShowsTagged Bourbon and Branch, Jackie Paper, Mad Doctors, Philadelphia, Seismic Thrust, Styrofoam Drone Presents, styrofoam drone showcase, Wreaths.